Hello there! Welcome to another Double Dare Challenge! This card was super fun to make! 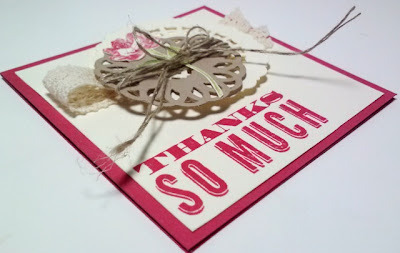 Here I used the Feeling Sentimental set and the Vintage Verses set, both Sale-a-Bration products! 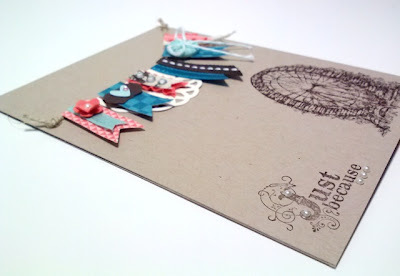 As usual, I went crazy with the bunting:-) Lots and lots of embellishments! 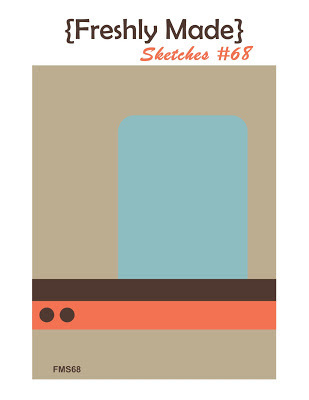 I used the World Spectacular DSP and picked out Calypso Coral, Island Indigo, and Early Espresso from it. That cute little Pool Party Button and the Satin Ribbons are from the Sycamore Street Ribbon & Button Pack, one of the Sale-a-Bration items that you can get for free with $50 purchase! 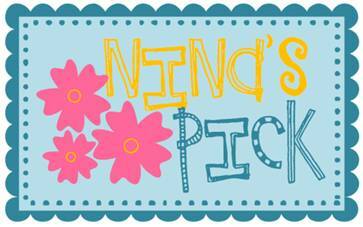 Now let's go check out Nina's blog to see her beautiful creation! Hi there! Welcome to another Double Dare Challenge! 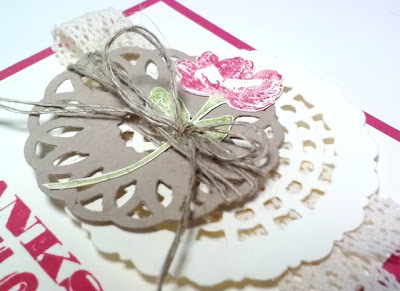 I don't know what's happened to me, but lately I am drawn to girly, romantic stuff, which was never my style! So this week's challenge was very fun! 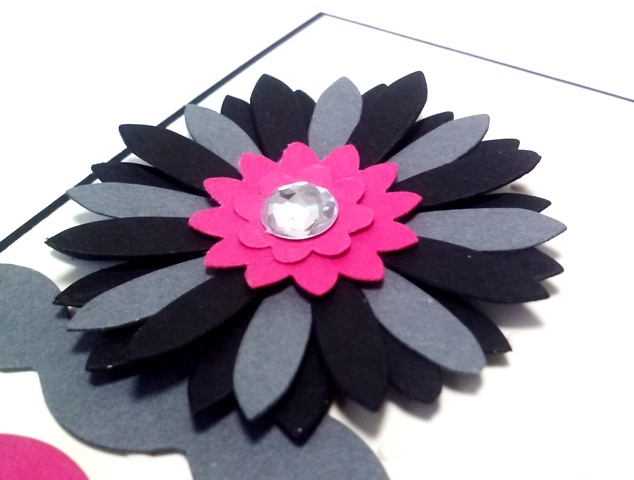 For more sneak peeks from the design team, click HERE to head over to the website! 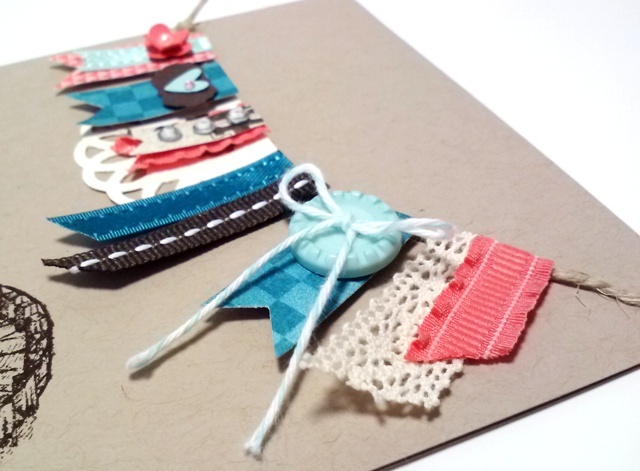 This 7/16" Natural trim Ribbon is just beautiful! I love anything natural or organic! I layered the Crumb Cake border and the Midnight Muse border to repeat the colors in the hexagons, and still kept the organic look too. Now let's go see Nina's card:-) Then grab your DSP and punch and join the fun! Here is my card for the Pals Paper Arts Color Challenge! I am usually one of the first one to enter, but I was a little busy last week, and I wasn't sure if I could come up with any idea in these colors! 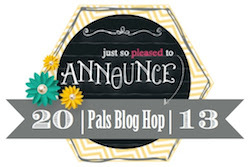 Thank you for joining us for the first Pals Blog Hop of 2013! 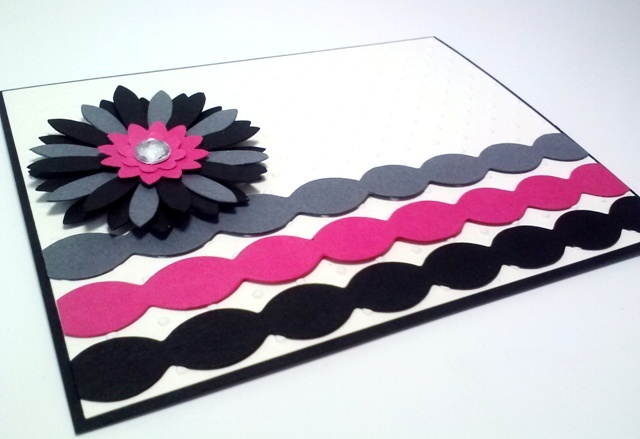 Today the Stampin' Pretty Pals are excited to introduce you to new Stampin’ Up! products that are available in the Spring Catalog. 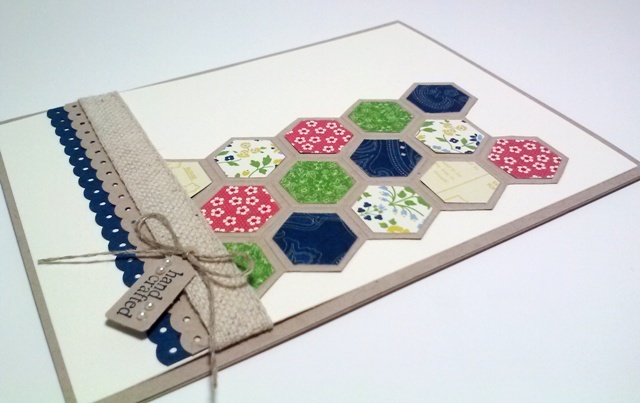 We hope you find inspiration and ideas for using the new stamps, papers and accessories. 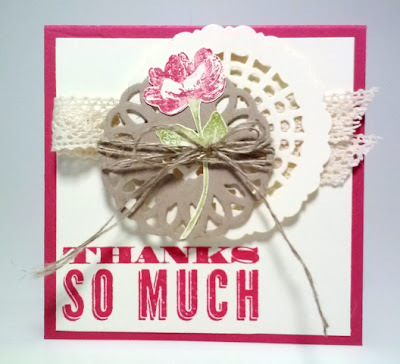 You should have just left stop number 2 on the Pals Hop - Sherrie Gross at Stampin Sunshine. If so, you are in the right spot. If you get off track, the full blog lineup below will help you move along from blog to blog so you see all of the amazing creations. 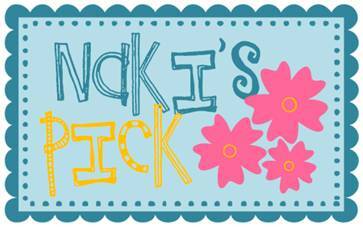 If you haven't seen the new Spring catalog, I must warn you... It is FABULOUS! You will want every single item in it! 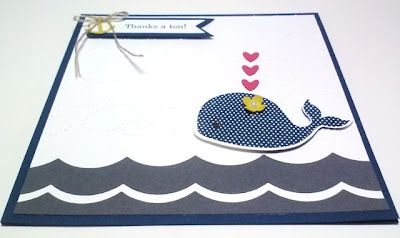 This adorable whale is from the Oh, Whale set, my absolute favorite! 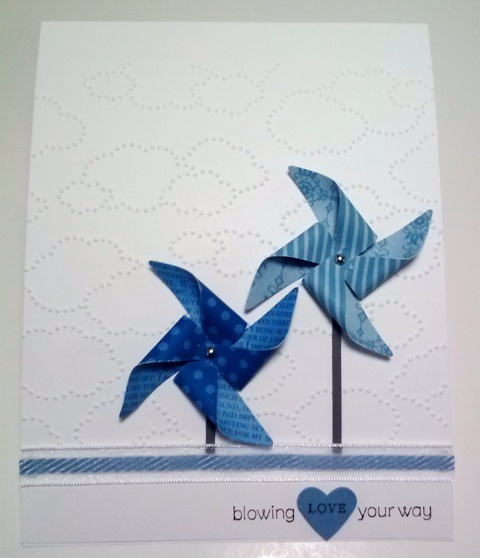 The embossed clouds are from the new Cloudy days Embossing Folder. How could you not love this adorable little thing!? Not only the stamp set is cute, but they have the coordinating clearlits die! 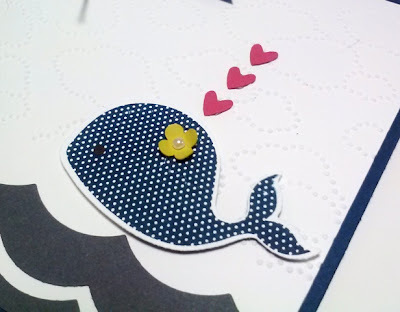 I gave my girl whale a little flower:-) And she is so happy, she is blowing little hearts out! 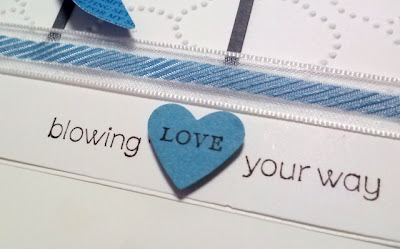 This is one of the sentiments in the set, too cute! The anchor is one of the shapes from the clearlits die. I used the Linen Thread to add some nautical flavor. 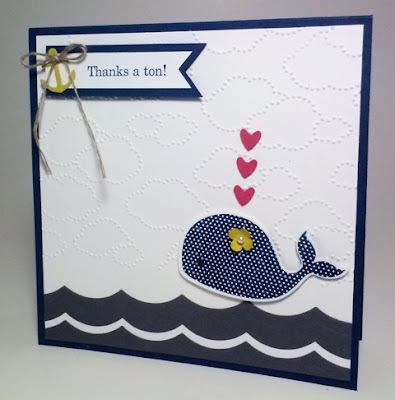 The waves were made with the Large Scallop Edgelits. 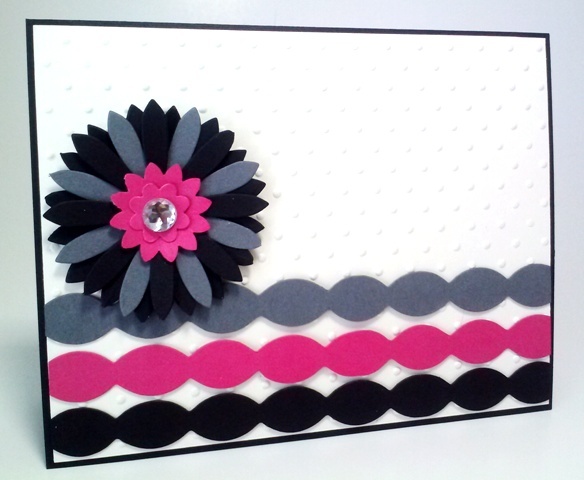 I ran a strip of the Basic gray card stock twice through the Big Shot Machine, then adhered the bottom and the middle pieces with a little space in between them. 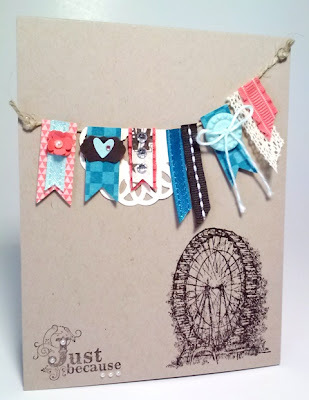 The next stop is Peggy Noe at Pretty Paper Cards, stop number 4 on the Pals Blog Hop! 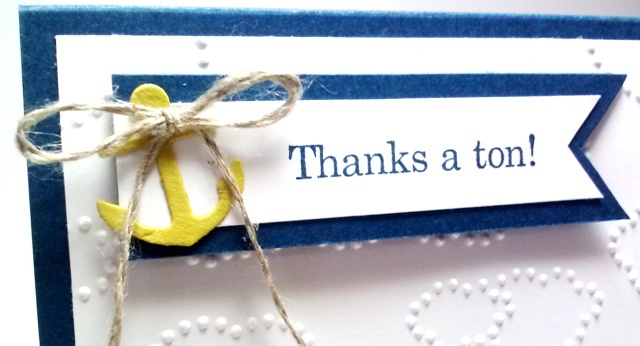 Thanks for visiting – and I hope to see you next month! 17. 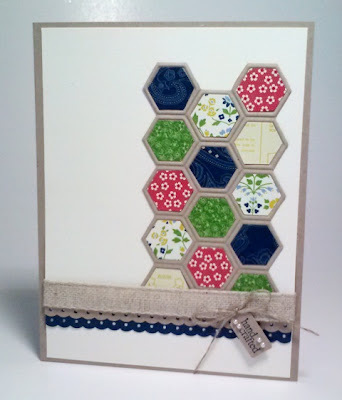 Maxine Conrad at Stamp to the MAX! This year's first Double Dare Challenge is here! The sentiment is from the brand new set Wishes Your Way from the Spring Catalog. It actually says, blowing "wishes" your way, but I left the wishes un-inked, then placed my Marina Mist heart. 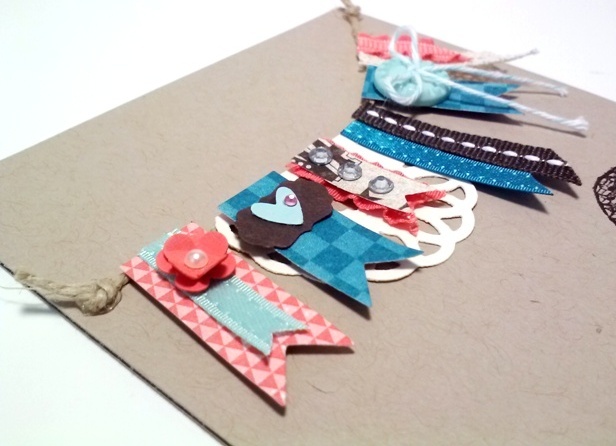 The Ribbon is also from the Spring Catalog. 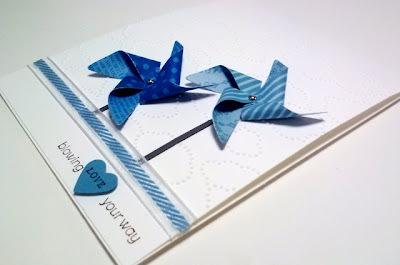 The pinwheels are made with the Pinwheel Sizzlits Die from the Spring Catalog. I actually had a difficult time putting the brads in the holes because they're so small, but just LOVE how they came out:-) Do you see the embossed clouds on the Whisper White? You guessed it, it is also from the Spring Catalog:-) This new catalog had me in trouble because everything in it is just so cute! Hi there! I am sorry I have been gone for a long time! I have great news though, I was invited by Melanie, the owner of Paper Crafters Sampler, monthly online publication of Stampin' Up! 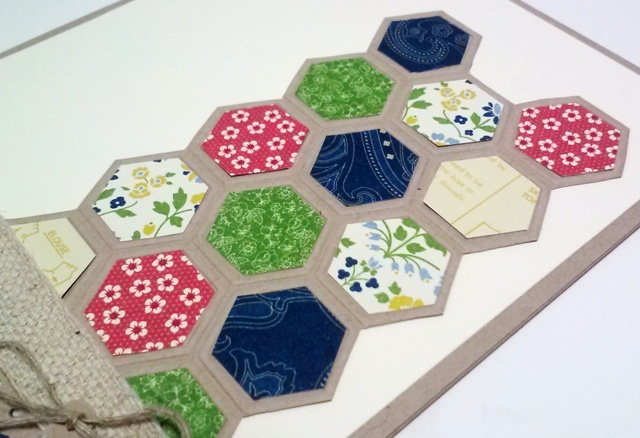 projects that you can subscribe for each month's issue, to join her design team:-) I was ecstatic when I saw the E-Mail from her! 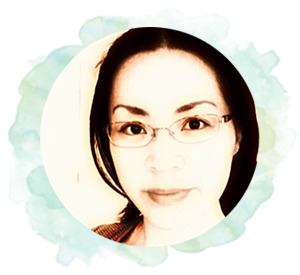 If you have seen her team's projects, they are all gorgeous...and I cannot believe Melanie actually thinks I am good enough to be on her team! 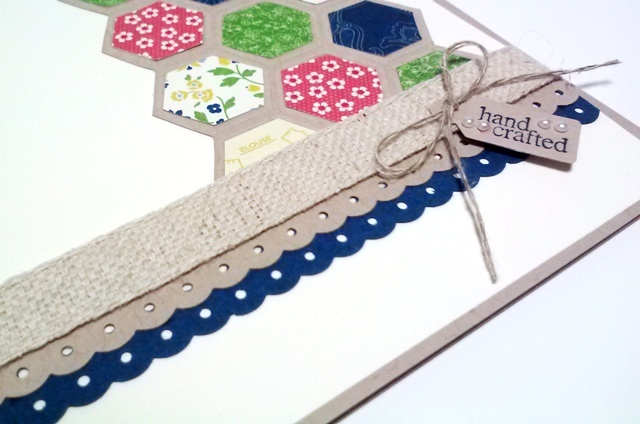 The Paper Crafters Sampler 2013 issue is due to release in just a few days. Sign up by January 8th and receive a special gift. A year in review of 2012. Twelve projects from the 2012 issues. See Paper Crafters Sampler site for details.